Some of the most frequent questions asked these days by both dealers and anglers alike concerning Beta Lights and their uses. variety of sizes for all applications. the large 22.5 x 3mm Beta Lights are mostly used to light up various swingers including the Fox Euro. rod tips, landing nets etc. to customize their rods or their buzzers. Thus blue, red, yellow, orange, white, purple etc. became available. The very latest Beta Lights, Tritium-Max, are as bright as the current technology will allow. You cannot get a brighter Beta Light. 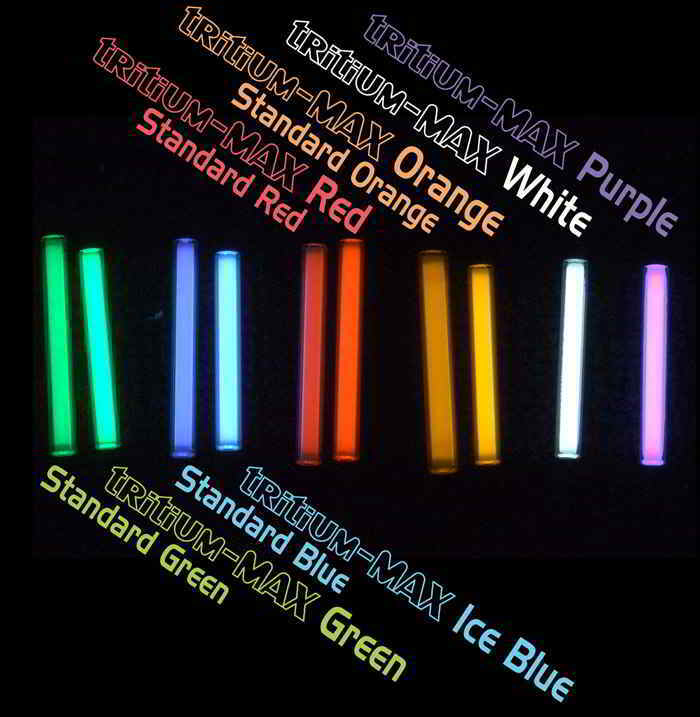 different colors) you can pump inside the tube, the greater the concentration of tritium and the brighter the Beta Lights will be. depending on the color; the green ones will always be slightly brighter than the other colors. But to the human eye, in a real fishing situation (or your average fishing situation at least) there will not be a noticeable difference. measure it. You will just see all the colors very clearly, although the green might appear a bit brighter. significant problem, unless you are at long range. Not happy with the brightness of your Beta Lights? help to reflect more of the light out the ‘front’ of the light and can increase the visible brightness by up to 25%. in which it is fitted! Why not? Well, one of the best ways of removing superglue is……water. I’ve seen superglue turn an ugly white colour (from rain water) and if water is trapped inside the bobbin (bite alarm) slot the superglue will stay wet, softening it over time. BUT......If the Beta Lights don't fit snugly don't use glue, smear some clear silicone inside the slot and push them in. Some Beta Lights don't fit snugly and they'd crack if you force them in, the silicone then acts as a cushion. You don't need much, literally a smear. Fill the slot, push the isotope in and smooth over. Some silicones are clearer than others and dry like glass, use one of them. After the isotope is in the slot, you will have a surplus of Silicone forced out, just wipe the excess clean with rubbing alcohol and leave till dry. Henry de Beer is at present a full time writer for the Henkor Website.